Home Off Beat	A joker tattoo that’s anything but funny! 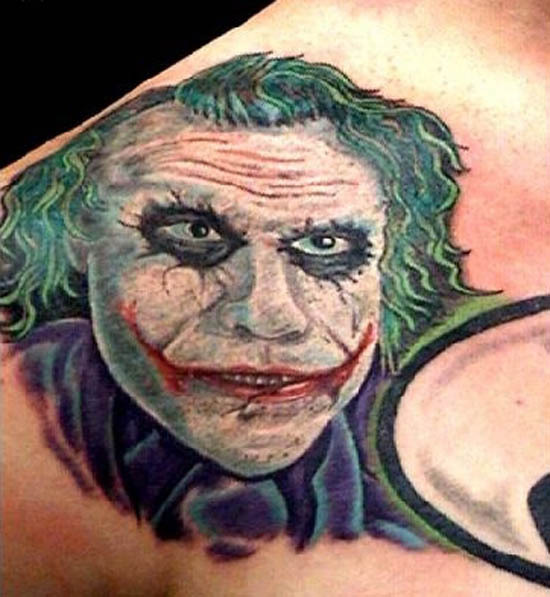 If you are a fan of Heath Ledger and his last movie The Dark Knight, then you must be a fan of the joker tattoo too. But I assure you, this ugly tattoo is not one of them. This poorly inked joker is not only bad but utterly disgusting to look at. What would be the appropriate comment for this tattoo- a dying joker or a crying joker? Itâs less of an art and more of dirt. Instead of being a tribute to the dead actor, itâs making fun of his talent. Only a fool will choose to have it inscribed on his body for the rest of life! ← Rumer Willis poses a skinny body with the perfect tattoo to go along!